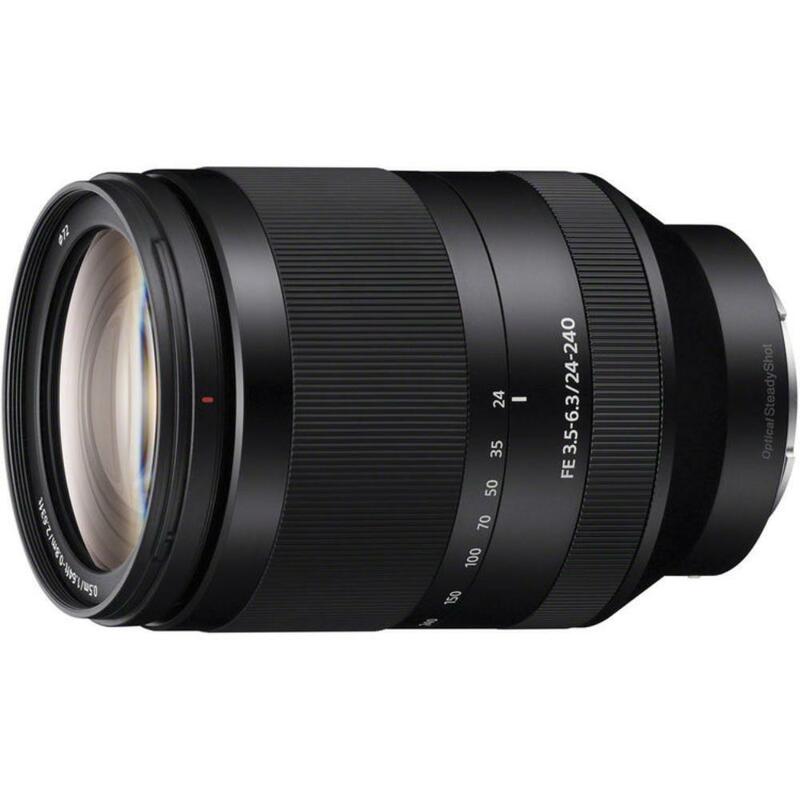 The Sony FE 24-240mm f/3.5-6.3 OSS Lens is a practical all-in-one lens that covers a long focal range, sports a Linear AF motor for fast autofocus, and offers an Optical SteadyShot image stabilization system that provides a 4-stop shutter speed advantage, making it significantly easier to achieve crisp, blur-free images and video. It is compatible with both full frame (FE) E mount cameras, such as the a7II, and crop sensor NEX E mount cameras, such as the Sony a6500 Mirrorless Digital Camera. The dust and moisture resistant design allow you to confidently use this lens in inclement weather. This lens is ideal for event shooting, traveling, wildlife, and outdoor sports shooting thanks to its robust design and long focal range from wide to telephoto. • Minimum Focusing Distance: 19.69"